Good songs, bad sound (all caveats about my current equipment apply, as always), and a bit of the same tempo/same key problem add up to a pretty good album–one that doesn’t bother me, has some songs I really like, but I don’t really want to listen to. Clairvoyance got a better review, but these two albums are really similar in a lot of ways. It’s a mixed bag of songs with a few rising above the crowd. (“Cold Rain” is probably the best thing they’ve done until this point, though “Other Days And Different Planets” gives it a run for its money.) There’s lousy sound. Mark Lanegan’s still looking for what his voice would be. On the other hand, drummer Mark Pickerel is much improved and Gary Lee Conner isn’t standing out as much, in part due to the muddiness of the sound. And they’re not so strongly reminiscent of The Doors as they were on this album’s predecessor. The bad sound is of a bizarre sort. There’s a garden variety thinness that’s of the time, but there’s also this aberrant sound plague all over the place. Both “Transfiguration” and “The Pathway” feature instruments completely and suddenly dropping out. “Back Together” has one amazingly loud cymbal crash in the right channel amidst a hundred more normalized others throughout the song. “Aberrant” can also describe one of my favorite moments on the disc. In “In The Forest,” Lanegan sings “…like a cat, say meooooow,” and the meow is high, sustained, and, well, it’s like a meow. It’s a lovely and completely unexpected twist that never fails to make me meow when I hear it. I think my office mate thinks I’m becoming a cat. I remember these songs sounding better when I heard half of them on the SST Anthology where I first encountered them. I’m not sure if they got remastered for that release or not, but it would have been unusual for SST in 1991 to do something like that, especially at that time. Anyway, this album is fine, just calling out for a remaster. Transfiguration – I’m pretty sure this is on that SST compilation I have, but I don’t recognize the verses at all. Super weird sound thing here where the lower end just completely drops off abruptly at some point early on in the intro. Sweet guitar playing, but sounds pretty muffled. Straight Out To Any Place – Punky start. World Painted – meh. might even be broken. there’s nothing here. Other Days And Different Planets – There’s a line in here that sounds like it might be a foreshadowing of anti-fame sentiment out of Seattle scene “Turns to gold and you don’t want it to,” but later it is definitely “turns to go” and I’m not sure if that’s it in both places or just the last one. The Pathway – The bass seems to almost completely cut out during the guit solo. 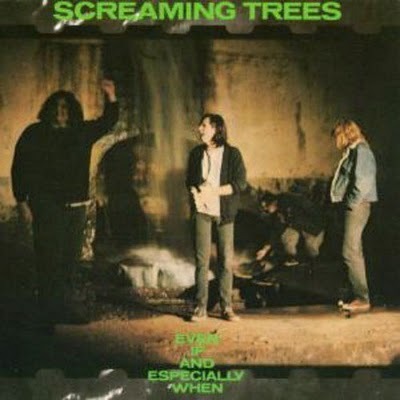 This entry was posted in album reviews, music, Xbox Music Reviews and tagged 1987, 3 clowns, album reviews, Ellensburg, Mark Lanegan, music, Screaming Trees, Seattle, Xbox Music reviews by fatclown. Bookmark the permalink.